TVNZ 2 will screen the inaugural series of The Great Kiwi Bake Off 7.30 Tuesdays from October 16. It cements a formidable line-up against Three’s Married at First Sight NZ, which will screen Sunday-Tuesday from this weekend. From mid-October, TVNZ 2 will combat it with My Kitchen Rules NZ on Sundays, Project Runway NZ on Mondays and Bake Off on Tuesdays while facing off against Three’s Grand Designs NZ on Wednesdays will be new seasons of Young Sheldon and The Big Bang Theory. On your marks, get set, BAKE! It’s the moment every cake, bread and pie lover has been waiting for – the first ever series of The Great Kiwi Bake Off will premiere on Tuesday 16 October on TVNZ 2. The country’s best amateur bakers are ready to do baking battle and TVNZ can now reveal the 12 contestants going spatula to spatula in this cake-tastic new series. A tradie who’s swapped the rugby pitch for the Bake Off tent, a competitve body builder, a mechanical engineering student, a fight attendant and a teacher will be amongst those vying for the covetred title of New Zealand’s best amateur baker. Each week, the bakers will have their cake-baking, pastry, bread-making and patisserie skills tested to the limit. On hand to judge their efforts are award-winning baker Dean Brettschneider and renowned chef Sue Fleischl. 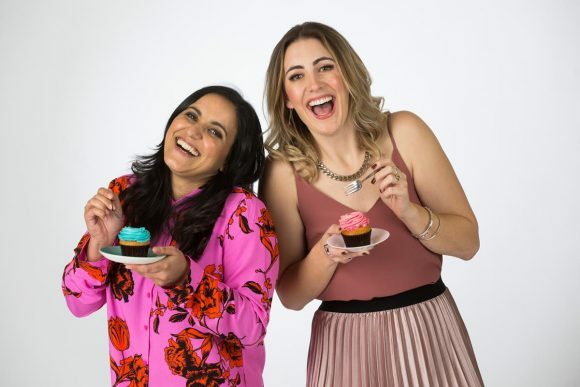 The Great Kiwi Bake Off is hosted by the energetic duo of Madeleine Sami and Hayley Sproull. The pair showcase their love of baked goods in the show’s tantalisingly-good campaign promo. Who will have the recipe for success? Only one can be crowned New Zealand’s best amateur baker. The Great Kiwi Bake Off premieres Tuesday 16 October, 7.30pm on TVNZ 2 and on TVNZ OnDemand. Comedian Chris Parker is on hand to give fans another bite of Bake Off action with An Extra Slice, available exclusively to TVNZ OnDemand. The Great Kiwi Bake Off is made even sweeter with the help of Broadcast Sponsor, Chelsea Sugar. TVNZ also proudly welcomes a number of in-show sponsors. The Great Kiwi Bake Off is produced by Warner Bros. International Television Production New Zealand. It is based on the Love Productions format and distributed by BBC Studios.